This month, we’re kicking off a new approach and moving from our monthly “What’s new in Office 365” blog to “What’s new in Microsoft 365.” We’re also consolidating updates from across Office 365, Windows 10, and Enterprise Mobility + Security on the new Microsoft 365 site. Here’s a look at what we brought to Microsoft 365 in April. Ink analysis in Microsoft PowerPoint—We enhanced shape and text recognition in PowerPoint to give users more freedom to create content in a natural way. Now Microsoft 365 subscribers can convert any handwritten words on their slides into text and draw new shapes like hearts and clouds. You can also sketch out an entire slide and then convert all your drawings at the same time, instead of addressing each shape individually, making it easier to convert ideas to professional looking slides in a matter of moments. Easily convert hand-drawn words and shapes into text and objects in PowerPoint. New ink gestures in Microsoft Word—New ink gestures for editing in Word allow you to add handwritten text to a document and interact with existing content using a pen. Now Microsoft 365 subscribers can quickly split paragraphs into multiple lines, insert words into existing sentences, and join separated words, all using natural pen-based gestures. These top requested features make it easier to naturally edit documents and quickly implement changes and suggestions. AI enhancements in Word for Mac—We brought popular AI capabilities to Word for Mac to help you work more confidently and produce superior documents. Now Mac users can translate sections of text or entire documents from over 60 languages, including 11 that use neural machine translation to understand sentence context and produce more accurate results. Subscribers can also use Resume Assistant to craft compelling resumes with personalized insights powered by LinkedIn. Mobile editing available for more subscribers in the next few months—We’re expanding the availability of Word, Excel, PowerPoint, Outlook, and OneNote for iOS and Android to Office 365 Business Essentials, Office 365 F1, and Office 365 E1 subscribers. Once available, all Microsoft 365 subscribers will be able to install full versions of the mobile apps to create, edit, and, share documents on the go. Office 2019 Preview now available—We also announced the preview of Office 2019 for commercial customers. This is the first in a wave of preview announcements for the Office 2019 release, starting with apps for Windows, and includes Word, Excel, PowerPoint, Outlook, OneNote, Publisher, Access, Project, and Visio. Over the next few months, Office 2019 for Mac, plus the servers like Exchange 2019, SharePoint 2019, Project Server 2019, and Skype for Business 2019, will also launch previews. New features in Outlook for iOS—This month we introduced a range of new capabilities to Outlook. Now you can continue drafting emails in Outlook for iOS that were initially started on other devices. Draft Sync for iOS makes it easy to pick up where you left off simply by navigating to the conversation in your inbox. We’re also working to help employees connect across their company with a new Organization view on iOS that shows a complete picture of the selected user’s position in the company, including their manager, direct reports, and coworkers. Outlook also uses AI to understand work habits and communication patterns and surface other relevant contacts—outside of organization structure—to help you find the right people and resources faster. Calendar enhancements in Outlook for Windows—We introduced the option for meeting organizers to prevent forwarding calendar invitations to recipients that weren’t on the original invite list—helping to protect user privacy and preserve the original scope of the meeting. As an attendee, you can also view the RSVP status of others, even if you didn’t organize the meeting, to make informed decisions about how to prioritize your time. 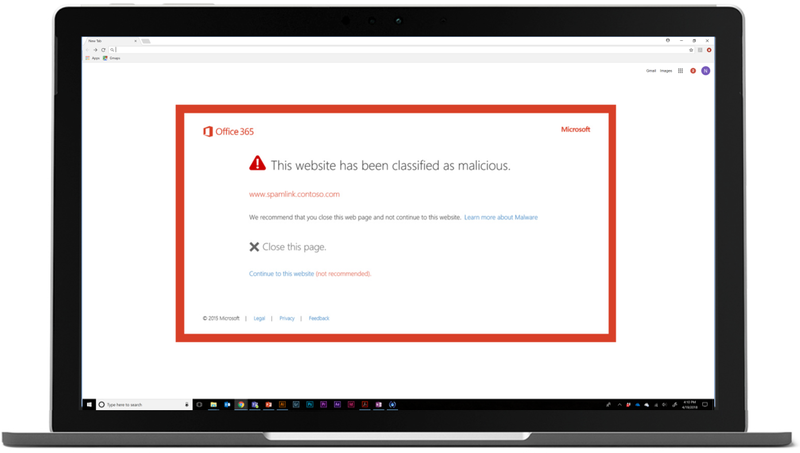 Advanced security features in Microsoft 365 Business—We also announced the addition of advanced security features in Microsoft 365 Business to further protect small and medium-sized businesses (SMBs) from cyberthreats and safeguard sensitive information from unintentional data leaks. Advanced Threat Protection is now included to protect users against phishing and malware, and prevent devices from falling victim to ransomware and viruses. We also introduced capabilities like data loss prevention and information protection to prevent unintentional data leaks and help small business safeguard sensitive information like social security and credit card numbers. We also extended some of these advanced protection capabilities to Office 365 Home and Office 365 Personal subscribers. Enhancing enterprise security—At the RSA Conference 2018 in San Francisco, we announced several new technologies and programs that build on our unique intelligence capabilities to make it easier for enterprises to secure their assets from the cloud to the edge. These new features help organizations simulate phishing attacks, automate threat detection and response, quickly assess their security posture, and more. Visit the Microsoft Secure blog to learn more. Capabilities to simplify IT management—We announced a range of new capabilities coming to Microsoft 365 to help organizations minimize total cost of ownership while enhancing user experience. These new capabilities include improvements to cloud-based device management, solutions like Kiosk Browser in Windows 10 that enable delivery of services to Firstline Workers and customers, and a single integrated admin experience across Microsoft 365. These updates help reduce the number of components administrators are required to manage, reducing risk, improving user experience, and enhancing IT control. 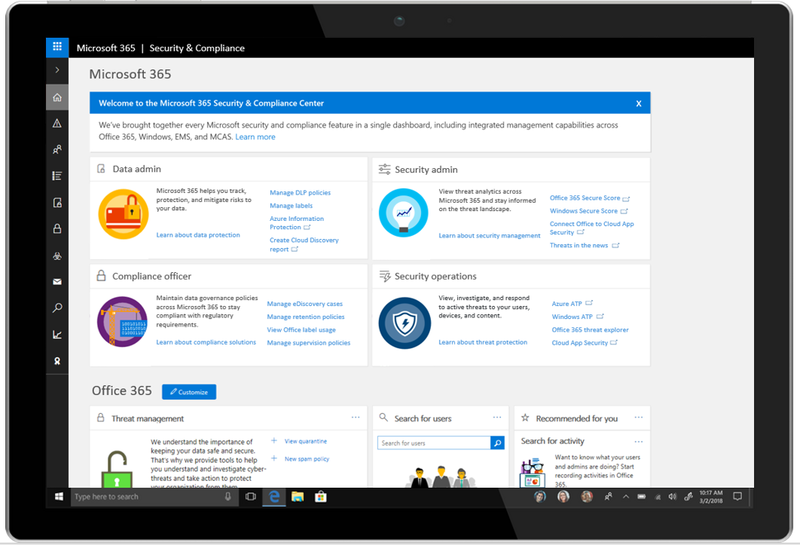 Microsoft 365 Security & Compliance Center. Centralized Deployment of Outlook add-ins—Centralized Deployment for Outlook add-ins is now available in preview to commercial customers. With Centralized Deployment, administrators can quickly and easily deploy add-ins for Word, Excel, PowerPoint—and now Outlook—to individual users, groups, or an organization, right from the Office 365 admin center. Tools for organizational compliance—We unveiled new resources and tools to help organizations meet compliance obligations like the EU’s General Data Protection Regulation (GDPR). New capabilities across the Microsoft Cloud help you effectively demonstrate that your organization has taken appropriate steps to protect the privacy rights of individuals, with tools for data subject requests (DSR) and audit-ready, privileged access management. Multi-Geo Capabilities in Office 365—We announced the general availability of Multi-Geo Capabilities in Office 365, a new feature that helps multinational organizations address their global data-residency requirements. Multi-Geo enables a single Office 365 tenant to span across multiple datacenter geographies, giving customers the ability to store their Exchange Online and OneDrive data in a particular region, determined on a per-user basis. Today, we announced updates to our Microsoft 365 roadmap that include new features and capabilities for Microsoft Teams, including the rollout of unified presence and a new modern admin portal. Annotate photos using the new inking tool in Office Lens on Android and iOS. Microsoft Forms, a simple app for creating surveys, quizzes, and polls, is now generally available to all Office 365 commercial customers. Word, Excel, and PowerPoint users on Mac can now chat with other people in a document without leaving the app. 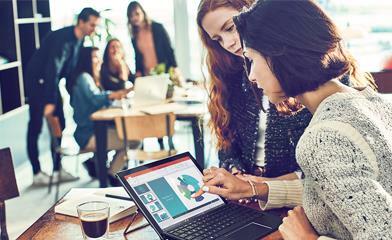 Microsoft 365 is a complete, intelligent solution that includes Office 365 apps and services with Enterprise Mobility + Security and Windows 10 Pro. Explore Microsoft 365 products: Office 365 | Windows 10 | Enterprise Mobility + Security. Learn more about what’s new for Office 365 subscribers this month at: Office on Windows desktops | Office for Mac | Office Mobile for Windows | Office for iPhone and iPad | Office on Android. Commercial customers on both Monthly Channel and Semi-Annual Channel can also get early access to a fully supported build through Targeted Release (Clients, Services). This site explains more about when you can expect to receive the features announced today. Ink analysis in PowerPoint—Rolling out to Office 365 and Microsoft 365 customers enrolled in Office Insiders over the next month. New ink gestures in Word—Rolling out to Office 365 and Microsoft 365 customers enrolled in Office Insiders over the next month. AI enhancements in Word for Mac—Rolling out to Office 365 and Microsoft 365 customers enrolled in Office Insiders over the next month. Mobile editing for Office 365 Business Essentials, F1 and E1—All the Office mobile apps can be downloaded from iOS App Store or Google Play. All functionality is available now for Outlook for iOS and Android. Editing will be available in Word, PowerPoint, Excel, and OneNote apps for iOS and Android over the next few months.